Our vision is to foster the spirit of a new generation of leaders, who, through active engagement in a shared project of compassion and change, discover their own commitment to humanity. • Maria Montessori’s vision, that real work brings real knowledge, will be actualized as students put study into action. • As students study the culture of the Azawak region, share ideas with students worldwide and work collaboratively to raise funds, they will develop a global perspective, empathy and a deeper sense of purpose. 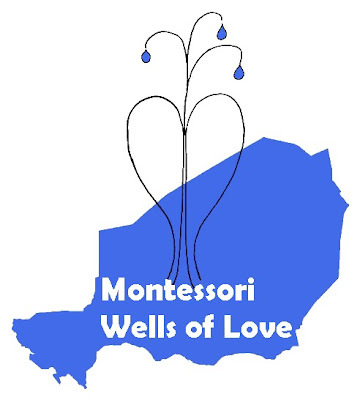 • The possibility of connecting Montessori students directly with children in the Azawak presents a potential for friendship and camraderie that goes beyond cultural differences, and kindles essential understandings of our shared humanity. • Engaged in this meaningful work, students will emerge with a deep awareness of the global impact of individual commitment and the transformative power of social action. • We envision that this alliance between Montessori students and the mission of Amman Imman will prepare students as leaders endowed with cultural sensitivity, compassion and courage.